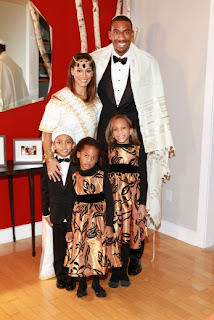 Congrats to Amare Stoudemire and his new wife Alexis Welch the two got hitched this weekend, cute looking family, I'm not sure whats up with the ensemble but hey its their fantasy and day so it works. Jhud performed at the " Nobel peace Prize concert" in Norway, she looks great and working that dress. Lace black and gold is killin it this season. Okay i might have to take that back, this dress that Vivian Green wore to the "WVDAS iheart radio" event in Pennsylvania is definitely a fav of the week.